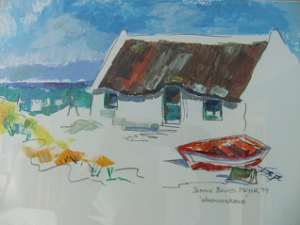 Unique to Eastbury Cottage in Hermanus are the vibrant original paintings by owner and local artist Jenny Bowes Meyer, which adorn all the rooms and introduce splashes of colour to the walls of the guest house. 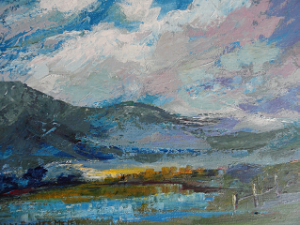 Born in Graaff Reinet, South Africa, Jenny studied at the Port Elizabeth Technikon (now the Nelson Mandela University) and was awarded the National Higher Diploma in Art and Design with distinction. Amongst her achievements in her career, are the Da Gama Design award (1981), voted a finalist in a national design competition, held the position of Senior Lecturer in Textile Design until end of 1985 at the PE Technikon and National Examiner until 1993. 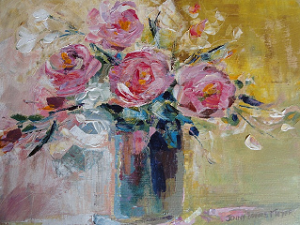 Jenny’s began painting in 1991 and her debut solo exhibition in Hermanus in 1996 was an enormous success and brought her a prestigious accolade in the United Kingdom. Various group exhibitions have entrenched her in the local art scene and the popularity of her vibrant works increases daily. 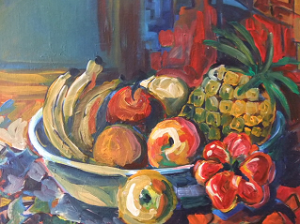 Collectors and galleries of note both locally and abroad have gone to considerable effort to seek her works. 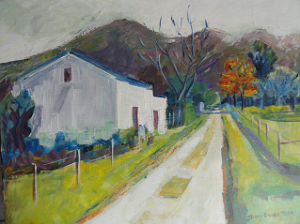 Although the Old Harbour is her specialty, Jenny enjoys painting still life compositions and scenes of the Overberg. 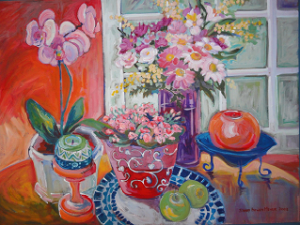 Her works are available for purchase at Eastbury Cottage in Hermanus and for an appointment to view please contact the manager on 0826584945. 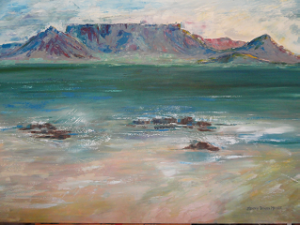 Jenny has also been invited to exhibit at this year’s Kalfiefees in the Auditorium at the Overstrand Municipal offices. 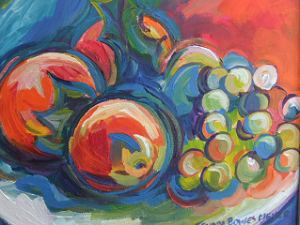 During the Hermanus FynArts Celebration in June every year, we offer special discounts to art lovers.